Hi. 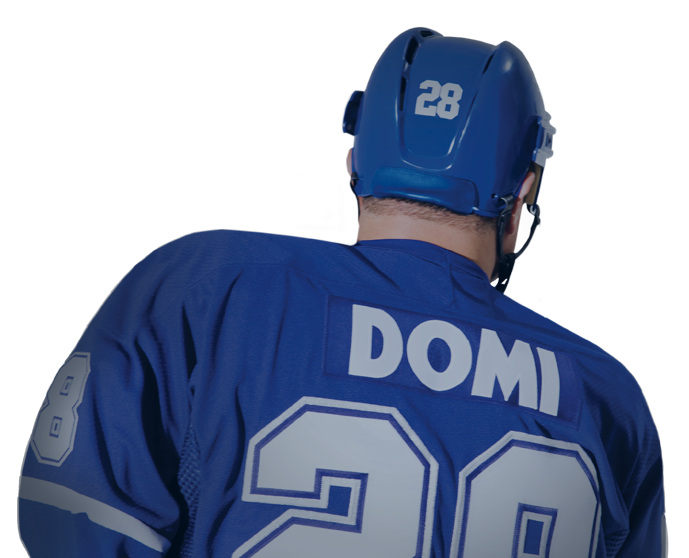 I just wanted to send you a message and thank you on behalf of our Atom B hockey team for donating the tie domi autographed jersey and picture. (through gary langfield ) It was a major part of our fundraising efforts and these funds were well spent as we used a portion of it for our entry in to the Bell Capital Cup tournament in Ottawa (the largest organized minor hockey tournament in the world). I want to thank you for making my son Luke’s wish come true! We were in Toronto to meet with you and your teammates on December 23rd, 2005. You met with Luke and our whole family after your game against the Boston Bruins. I have been meaning to write to let you know how much we appreciate the time you took with Luke to make his wish so special. Taking him to the back room to meet some of the other players was so kind of you. Luke has not stopped talking about his wish since Christmas and about how kind you and your teammates were to him. On behalf of the Raptors Foundation thank you for your kind donation of tickets towards the “Give-A-Kid-A-Game” program. Thank you so much for once again helping to launch the Longest Underground Walkway Clothing Drive and Sale.